The road was closed between the two roundabouts, following the collision on Wednesday September 13. 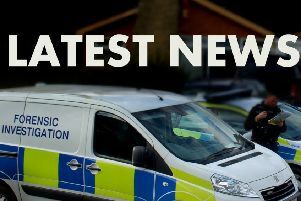 Lincolnshire Police have confirmed that a man has been released under investigation after being arrested following a three-vehicle collision in Louth yesterday afternoon (Wednesday). The man, who is in his 40s and is from Essex, was arrested on suspicion of suspicion of possessing controlled drugs and driving whilst unfit through drink or drugs. The collision on Wednesday took place on the A16 between the Northolme roundabout and the Fairfield Industrial Estate roundabout. Police, fire and ambulance services all attended the scene, and no injuries were reported.